Growing your business on social media takes time and effort. Sure you can hire someone to deliver your small business social network accounts 5000 Facebook fans or Twitter followers. But if you are a coffee shop in Australia, does it really do you any good to have 800 new page Likes from New York City or India? Even worse, are you wasting money on fake Facebook accounts? There is no quick fix for growing your Facebook for business page. And unfortunately, as a business owner, the number of hours in the day are limited. Do yourself a favor and find yourself a good social media manager to help grow and engage with your social marketing community. Once you see the results, you’ll be glad you did. Notice I used the word “good” before the term social media manager. You must take the time to investigate and find a social marketing agency that has experience and a successful track record. Otherwise, your business could end up making multiple Facebookmarketingmistakes and damage your reputation with your customers. With that in mind, here are three essential things you should know before hiring a person or agency to run your social networking sites. The first essential tip is nothing new. Investigate the social marketing company’s track record and get in touch with their past clients. Referrals from satisfied customers are very important in any business. Don’t think that social media marketing is any different. While you’re checking out their track record, don’t forget to check out their social networking sites as well. If your social media manager’s company is going to represent your business, they need to understand your business. 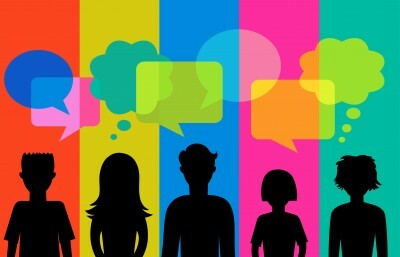 During your initial meeting, it is always a good sign if the social marketing person does more listening than talking. There is no one-size-fits-all social marketing strategy. It is essential that the person or agency you hire, understands your target audience, branding strategy, products and services, business operations, and everything else about your company in order to customise an effective strategy for social media marketing. The last essential characteristic I’ll mention in this post is that you should never hire a company that just wings it. A good social agency will have a system in place that they use to get their clients the best social ROI. Some things to look for in this system include: strategising with the client, analysing monthly social insights, adapting your social plan based on real results, and plans for monitoring and engaging your social community. I could go on and on about the essential characteristics of a good social media manager and social agency. The key takeaway for you, as a business owner, is to understand that you must do your due diligence and hire a reputable agency. After all, one false move by the person you hire to handle your social networking could end up with your business losingitsFacebookpage. Do you have any hiring tips, successes or nightmares to share? Please do so in the comments below. If you want to really grow your business Social media marketing can help you. Hire a good social media marketing agency for grow the business on internet.